In anticipation of the season five premiere of FX’s hit animated comedy series Archer, a custom-branded glass truck equipped with two barbers and a shoe-shine expert will be hitting the streets of New York to spruce up the look of participating fans in ways that would make Agent Sterling Archer proud. Complimentary services will be available on Thursday, January 9th and Friday, January 10th. Participants may receive a complimentary black ‘tactleneck,’ Sterling Archer’s favorite espionage garment, or a bottle-opener key chain while supplies last. Archer is an animated, half-hour comedy that revolves around the International Secret Intelligence Service (ISIS) and the lives of its employees. Although the work of espionage, reconnaissance missions, wiretapping and undercover surveillance is daunting and dangerous, every covert operation and global crisis is actually just another excuse for the ISIS staff to undermine, sabotage and betray each other for personal gain. 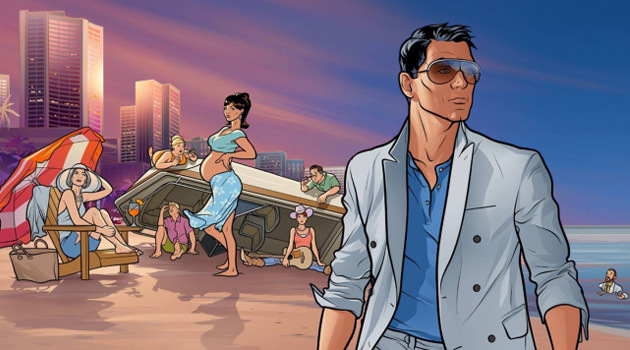 Archer Season 5 premieres on Monday, January 13th at 10:00 PM ET/PT on FX.